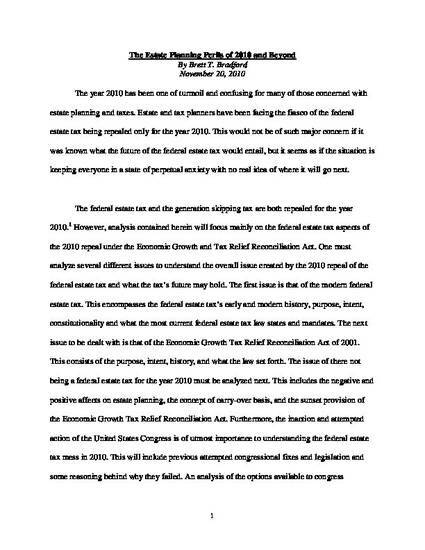 This paper explores the confusion surrounding the repeal of the federal estate tax for the year 2010. The Economic Growth Tax Relief Reconciliation Act gradually scaled down the federal estate tax and eventually repealed the tax in 2010. The Act has a sunset provision that would return the tax to a much higher rate than has been seen in recent times. This paper explores the history, intent and purpose of federal estate taxes; the intent and purpose behind the repeal in EGTRAA; and what attempts congress has made to fix the mess.